Writing an estate plan is a great way to pass on certain assets to designated family members after your passing. Many people may delay this task as long as possible because it can feel peculiar to plan for what happens after your departure. An estate planning lawyer at Sweeney Legal, LLC understands that you may need a little extra support to get through this process. We can help answer questions or concerns you may have along the way. Here in the article to follow, we have provided more information into estate planning. As as estate planning lawyer in Fairfield County, CT can explain, an estate plan is simply a written, legally binding document that states what you would like to do with your homes, cars, retirement funds, savings accounts, personal belongings, etc. Basically, it tells the state and your loved ones who gets what. An estate plan is not just your will. While a will is an extremely important part of your estate plan, there are also a few other documents that make up an estate plan including healthcare power of attorney, financial power of attorney, disposition of personal property and disposition of final remains. This is the document most people refer to when they think about an estate plan. And that’s because this is the foundation of your estate plan, as a estate planning lawyer in Fairfield County, CT can attest. Your will should have three main components: 1) Identifying who you are leaving your property and finances to 2) Identifying who is in charge of carrying out the wishes of your will, known as the “executor” 3) Identifying who will take care of any minor children if you have any. If for whatever reason you are in a medical situation where you are unable to make healthcare decisions, then this document allows you to give someone the power of attorney to make those decisions on your behalf. This can include do not resuscitate instructions, end of life instructions, or other medical decisions. It’s important to designate someone as your healthcare power of attorney so you know they are abiding by your wishes. Like the healthcare power of attorney, this document gives the person you designate the power over your finances. They can pay bills for you, write checks, sell property, or make any other financial decision on your behalf. While most people designate their personal property in their will, some people want to leave certain items to specific people i.e. giving your baseball card collection to your best friend. If that is the case, then you need to fill out a disposition of personal property form. This document helps your loved ones after you pass away. It tells them exactly how you would like to be treated and can include specific instructions for your funeral or let them know if you’ve already bought a plot of land in which to be buried. Many people assume that in the event of their passing, the state can distribute assets appropriately to loved ones. However, while this is true, the state will not likely take into consideration your preferences in how your assets are to be divided. Also, if there is a relative you had a falling out with, he or she may receive a portion of your legacy that you would not have wanted to happen. By creating an estate plan it can help reduce the amount of stress and frustration your family may experience along with their grief. You can start by brainstorming which belongings, treasures, property, or monetary value you want given to specific loved ones. Make a list of all your assets and those who you want to have a portion of it after your passing. Those on your list can include family, children, best friends, mentors, or whoever else has made an impact on your life. If you children under the age of 18, you will want to designate a person to take over care in the event of your early passing. Our legal team has been dedicated to providing services to those who need some guidance when it comes to creating an official written document. Please do not hesitate to reach to us to schedule your free appointment with an estate planning lawyer in Fairfield County CT that clients recommend from Sweeney Legal, LLC law firm right away. An estate planning lawyer is often asked by clients what are the most essential documents they should have in their estate plan. While most people are aware of wills, they are often unaware of other documents they should include. At Sweeney Legal, LLC, we have extensive experience assisting clients with their estate planning needs and can help you determine which options would work best for your particular situation. Durable Power of Attorney: If something should happen to you, leaving you unable to handle your finances directly, you want to know that the person who takes over that task for you is someone you trust. This person will be responsible for paying your bills, filing your taxes, and overseeing any other financial obligations you have. With a durable power of attorney, you decide who will be authorized to handle your finances on your behalf. Healthcare Power of Attorney: In the event something should happen to you and you do become incapacitated, you should also designate someone you trust as your healthcare power of attorney. This person will act on your behalf in making medical decisions should you be unable to make those decisions yourself. Your healthcare agent will be responsible for ensuring that the health care decisions you have left instructions for are followed. These decisions may be hard ones for your loved ones to carry through, so you want to make sure that the person you designate will be comfortable with your wishes. For example, if you leave instructions that no extraordinary life-saving measures should be taken to keep you alive, will the person you choose be able to abide by that decision? If you are called upon to fulfill the role of the executor after someone’s passing, you may have several questions for estate planning lawyer in Fairfield County, CT. We welcome you to contact us at Sweeney Legal, LLC as we can address your concerns as well as guide you through the process of settling an estate. Our estate planning lawyer can work with you even if the estate must go through probate. With our assistance you can be assured that you will successfully complete all the necessary steps to fulfill the legal requirements of settling an estate. The executor of an estate is a representative of the deceased’s who is tasked with settling their affairs. Due to the sensitive nature of this role, and the financial responsibilities associated with it, the executor should be honest, diligent, and responsible. They have what is legally termed a “fiduciary duty” which is to act in absolute good faith and with the goal of fulfilling the final wishes of the deceased even when it may be challenging to do so. Being an executor is rarely easy, and it is why many people hire an experienced Fairfield County, CT estate planning lawyer. from Sweeney Legal, LLC to help them successfully fulfill their fiduciary duty and as painlessly as possible. What tasks must an executor complete? Locate the deceased’s assets, identify them, determine their current value (possibly through a professional appraiser), and safe keep them however is practical until you distribute them to the rightful heirs. If required or advisable, sell one or all of the deceased’s real estate properties or other assets to liquefy them. Determine whether or not the estate must enter into the probate process. Our estate planning lawyer Fairfield County, Connecticut relies on can help you with this. There are a number of criteria that must be considered as some assets can bypass probate while others cannot. If you have not yet created an estate plan, our estate planning lawyer can help you with this as well. Review the will and/or trust documents to determine who is to inherit which assets and under what circumstances. If there are issues, such as someone wanting to contest the will, it may be in your best interest to contact an estate planning lawyer who can help solve problems and minimize risk. Submit a copy of the will (if there is one) to the local probate court. This may or may not be required. If you work with an estate planning lawyer, they can advise you. Pay all applicable taxes for the estate as well as for the decedent. Our estate planning lawyer in Fairfield County, CT can provide tax tips and guidance as to minimizing the amount that must be paid from the estate’s funds. To learn more about how Sweeney Legal, LLC can assist you with your role of executor, contact us for a free consult with our estate planning lawyer. The decisions you do make for medical care should you become incapacitated should be specified in a living will. A living will enables you to still make sure your wishes are followed even if you are no longer able to express them. Your medical doctor and family will not be able to ignore what life-sustaining measures you agree to and what you would not agree to when they are provided in this legal document. With a will, you decide what happens to your assets and property, who will be beneficiaries, and who will not receive anything. You can also name who you want to be a guardian for any minor children you have and establish trust funds. You will want to name an executor in your will. This is the person who will be responsible for distributing your assets and property per your instructions and paying off the debts of the estate. An estate planning lawyer in Fairfield County, CT can also assist you in setting up trusts. Many people are aware of how wills work when addressing their estate. 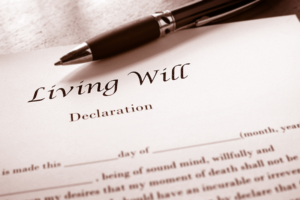 A will specifies how the decedent (the person who wrote the will) wants all of their assets and property to be distributed after their death. A will also can address other important legal issues, such as guardianship for minor children. Another important estate planning tool that many people overlook are trusts. When a trust is created, the person creating the trust places assets in it and appoints a trustee who will manage those assets on behalf of the beneficiary. When using these two important tools, it is crucial to obtain the help of estate planning lawyer Fairfield County, CT trusts in order to avoid legal problems because of errors in how they were set up. At Sweeney Legal, our Fairfield County, CT estate planning lawyer has helped numerous clients with these legal entities and are more than happy to meet and explain how you and your family can benefit. The person who you choose to be trustee will be responsible for the oversight and management of all of the assets in the trust, as well as ensuring whatever funds are doled out to the beneficiary adhere to whatever guidelines you have set forth in the trust. Although family members are often chosen as trustees, you want to make sure it will be someone who is financially responsible. It is okay to look outside the family. It is not uncommon for individuals to choose an attorney or banks as trustees. Everyone matures at a different level and it is not uncommon for young adults to not be entirely responsible when it comes to handling finances. If you already set a trust up in the past when your beneficiary was young, it may be a good idea to reevaluate those terms now with an estate planning lawyer in Fairfield County, CT and determine if it would still be a good idea for that beneficiary to have complete control. Another issue that may be concerning is if the beneficiary has some kind of addiction issues, such as alcohol, drugs, or gambling. If you are concerned that the trust assets will be spend feeding their addiction, you can keep the trust set up for as long as you want, with the trustee maintaining control. You can specify exactly what reasons are acceptable (i.e. education costs) and what reasons aren’t for the trustee to give the beneficiary any of the funds from the trust. There are certain life events that happen for which people should update their wills and trusts, if necessary. This can include divorce, the birth of a child, or death. There may not be any changes necessary, however, it is often the case that some change of beneficiary should be done. A periodic review of all of your estate plans with a Fairfield County, CT estate planning lawyer to make sure these are still your wishes is a good idea. If you do not have an estate plan in place, or you would like to update your current estate plan, contact Sweeney Legal, LLC so we can assist you. Call an estate planning lawyer Fairfield County, CT clients recommend today for a free consultation.